ANT and Dec have come under fire from I’m a Celebrity viewers following a sketch about Stephen Hawking. The Geordie duo were poking fun at Gogglebox’s Scarlett Moffatt’s revelation on the show that she had emailed a time travelling theory to the professor, who suffers from Motor Neurone disease. Pretending to call up the professor to ask him what he thought of Scarlett’s musings, an electronic voice pretending to be Stephen, who talks using a speech synthesiser, answered that he thought it was a rubbish theory. 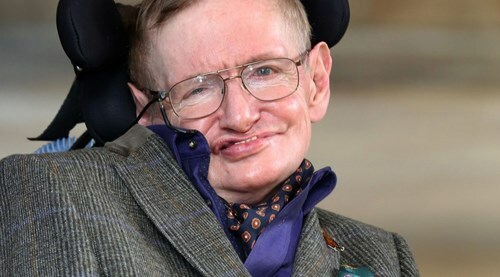 But while some viewers found the gag hilarious, others were offended by the mocking of Hawking. The sketch came after Scarlett admitted during a campfire chat with Olympian Sam Quek that she had once sent Stephen an email explaining her theory about travelling in time. “In order to travel back in time we have to go faster than the speed of light. The speed of light is like 319 and then loads of numbers, it’s exactly the same latitude point as the tip of the Great Pyramid,” Scarlett told Sam. Next articleRussia LinkedIn Ban: What Will Happen To 5m Russian Users?